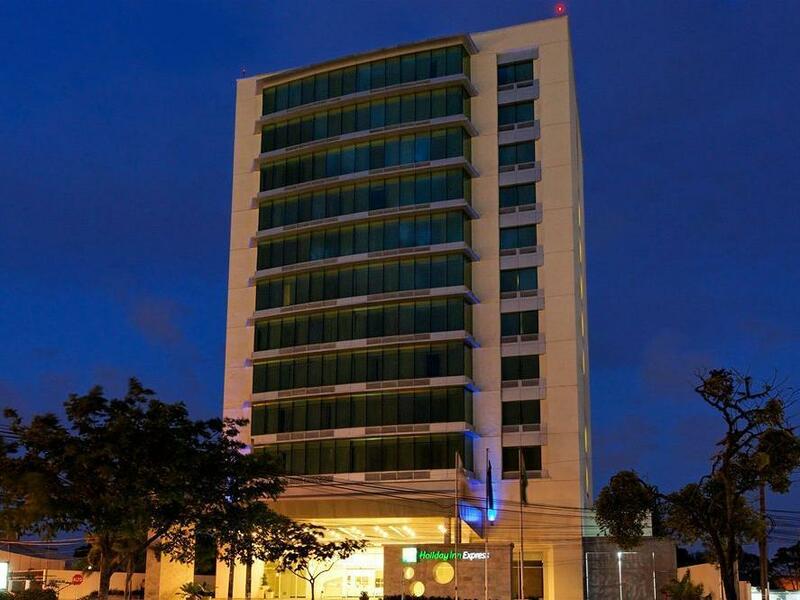 ﻿ Best Price on Holiday Inn Express San Pedro Sula in San Pedro Sula + Reviews! Holiday Inn Express San Pedro Sula is located 3 km from the Central Park and 5 minutes’ drive from the Nature Museum. It features free Wi-Fi and a swimming pool. The spacious rooms include air conditioning, a work desk, safety box and flat-screen cable TV. They come with a coffee maker and a private bathroom with bath. The food area at Holiday Inn Express San Pedro Sula offers free breakfast and rotating menus. This area is available only for breakfast and dining. The on-site Sobre Mesa gourmet coffee shop offers great coffee and snacks. There are also a business centre, a gym and two meeting rooms. This hotel is 4 km from the Metropolitan Bus Station and 10 minutes’ drive from Wonderland Water Park. Ramon Villeda International Airport is 20 minutes’ drive away. Free private parking is available. They were very helpful, even going to the extent of using their personal mobile phones to place calls for me. I'm not sure if it is because it was New Year's Day or if the service is always so minimal, but I was surprised to see the restaurant/cafe closed. The pool was under maintenance. I saw that there was a hair dryer dock, but there was no hair dryer in the room. The breakfast was decent and for the prices of hotels surrounding the area, it was a decent bargain. The malls around it have food courts, but we ended up going to another hotel for a sit-down dining experience or we could have ordered food to the hotel room. My husband and I needed to stay a night in San Pedro Sula and we wanted to try something different from where we usually stay. It was pricey for what a Holiday Inn Express usually is and we felt like it was a waste of money. The front desk was very nice and spoke impeccable English and that made us feel very welcomed. Overall, we were disappointed in the price, but we had good internet and it was centrally located to many good locations.